"No one will land in Italy without my authorisation," Salvini, of the far-right League party, said in a radio interview. 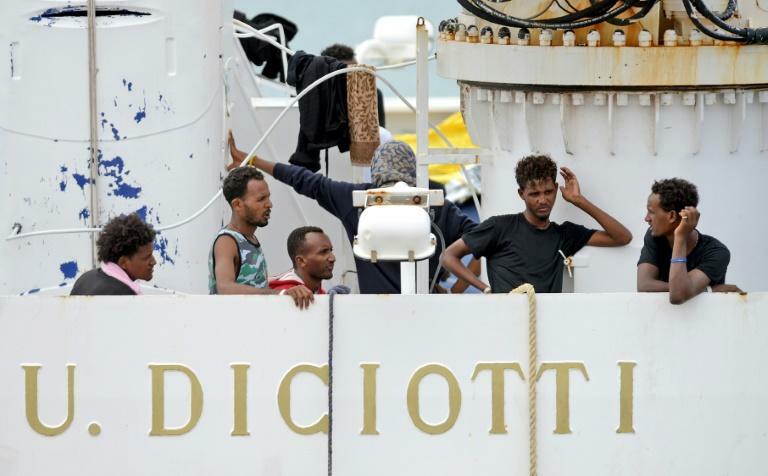 The migrants were rescued by the Diciotti vessel overnight on August 15 in a new drama that has sparked a political row within Italy, with former Prime Minister Paolo Gentiloni of the centre-left Democratic Party branding Salvini's handling of the situation a "national disgrace". Salvini meanwhile has renewed accusations that fellow EU states are shirking their responsibilities. 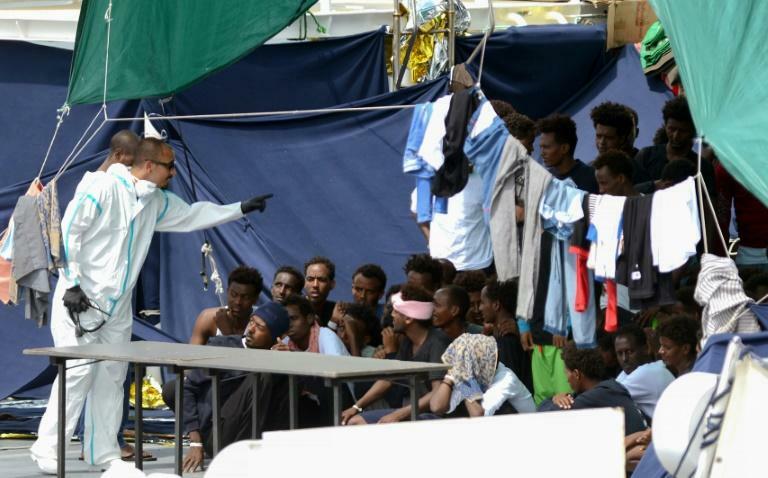 In a Facebook post he accused several European countries, including Germany and Spain, of reneging on an agreement to take migrants who were allowed to land in the Sicilian port of Pozzallo in July. "Why should we trust them this time? Before asking for the disembarkation of the Diciotti, Europe should give us explanations. I'm not backing down." 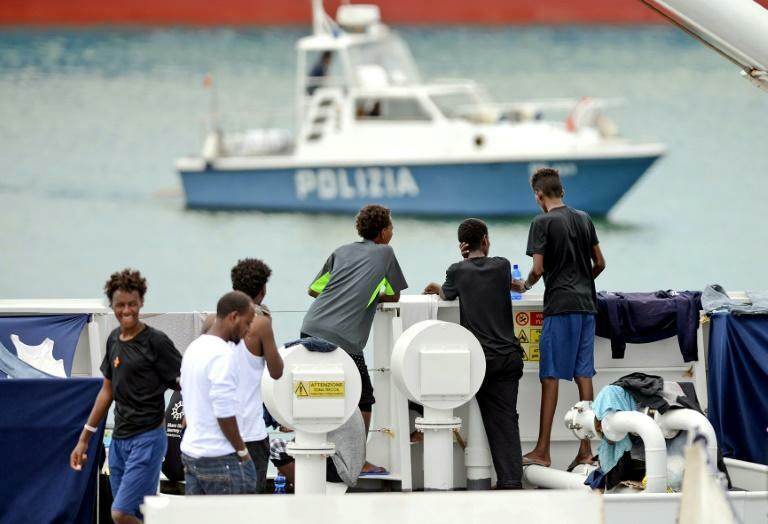 Thirteen of the some 190 migrants were allowed off for health reasons on the island of Lampedusa before the vessel carried on to the Sicilian port of Catania. Late Wednesday, Salvini agreed to allow 27 unaccompanied minors off the boat but the rest remain trapped on board, despite calls from the UNHCR and aid agencies for them to be allowed off. Salvini insists those who remain on board are "illegal immigrants" and do not have the right to humanitarian protection accorded to refugees. The nationalities of those still on board is not clear but according to Save the Children almost all of the children who were allowed off on Wednesday are from Eritrea, whose regime of compulsory military service has been likened to slavery by the UN. Prosecutors in the Sicilian city of Agrigento have opened an inquiry into "abduction" over the Diciotti case and according to Italian media reports President Sergio Mattarella has privately expressed concerns that the row could damage Italy's image abroad. But Salvini has thrived on the controversy and the opportunity to present himself as in tune with public opinion. "There is an inquiry under way, we will see," he said. "I have broad shoulders. I think the majority of Italians agree with me." Opinion polls suggest that his stance is benefiting the League, whose approval rating has risen to around 30 percent -- 10 points up from its showing in March elections -- and is now level with the populist Five Star Movement (M5S) with which it has formed a government. For its part the European Commission said Thursday it wanted "a swift resolution so that the people on board can be safely disembarked as soon as possible". "We are stepping up our pro-active work to find a long-term, durable, European solution," Commission spokesman Alexander Winterstein told reporters. He added that a meeting of high-level representatives from around a dozen member states would be held on Friday to discuss the issue. If no European solution to the Diciotti case is found, Salvini has repeatedly threatened to send the migrants back to Libya. "Either Europe begins to seriously defend its borders and shares the relocation of immigrants, or we will start taking them back to the port that they left," he tweeted on Tuesday. Mohamad Siala, foreign minister in Libya's UN-backed Government of National Accord (GNA), shot back late on Wednesday that such a move would be "unfair and illegal" given that Libya already has "more than 700,000 migrants" on its territory.